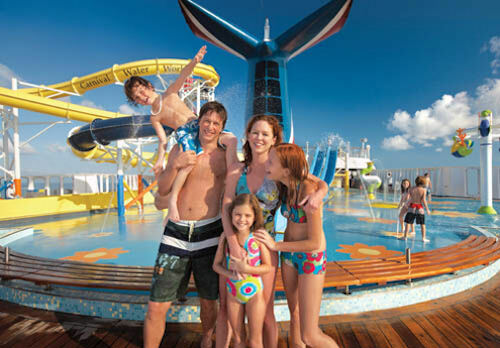 Cruising is one of the best ways to enjoy your family vacation! Cruise lines know that, and that’s why they have numerous special services and amenities aimed at children to help keep them entertained and provide an enjoyable experience! From kids clubs to meet and greets with cartoon characters to waterslides, there are a lot of cruise options that will suit your family’s needs. Most cruise lines will offer customizable itineraries and day-to-day special activities to keep children busy and having fun. Plus, at night, they offer late-night care so that the parents can enjoy a relaxing couples spa or a romantic dinner. And if you’re traveling with a newborn, don’t worry, because a lot of cruise lines offer an onboard nursery to help care for your child. So whether you have young children or teenagers, you don’t need to worry about them having the best experience of their life when onboard a cruise ship! Plus, there are so many activities that you can do as a family together!